Maximum performance with attractive conditions. Typical of the DL® 30 LED family. The decorative post-top luminaires consistently exploit the advantages of LED technology. The result: a uniform and consistent solution for designing residential streets, plazas, shopping boulevards and green areas. The luminaires feature three reflector geometries and two light colours in a single, pioneering construction design. 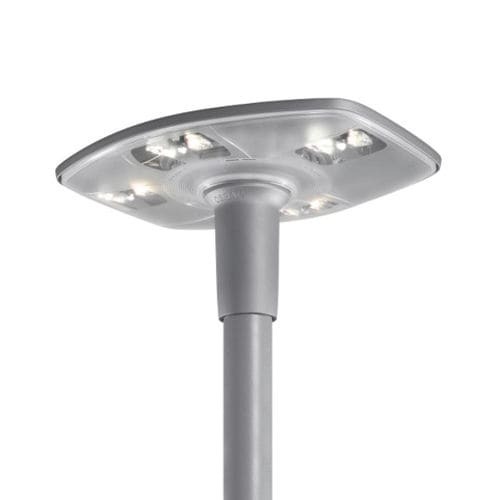 A pioneering design and pioneering technology: The optics of the DL® 30 LED are based on the 3-zone faceted reflector technology of the Streetlight 10 LED range. This means a maximum in terms of efficiency together with good quality of light and visual comfort. A focus was placed on simple handling and rapid mounting. 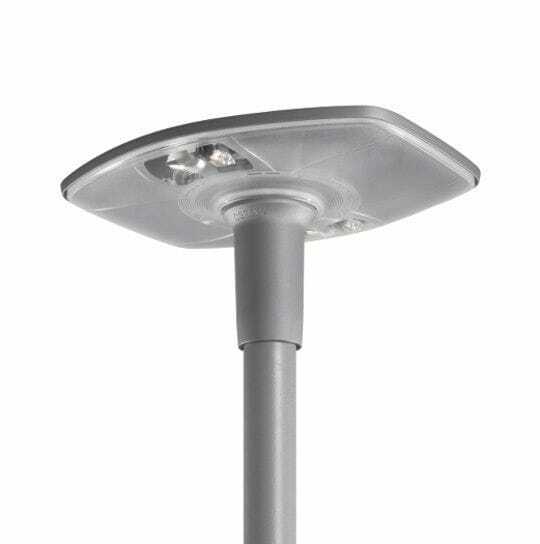 The luminaire with a maximum weight of 8 kg is very simply installed and maintained: the luminaire is opened without use of tools, meaning that the gear tray (with ECG) can be replaced on the mast. The DL® 30 LED is vandal-resistant thanks to its optical enclosure of PMMA. Thanks to its quality of materials and construction it features IK08 impact resistance, and also remains permanently clear for optimum light transmission.